"Gigant" Tool cabinet with roller door. 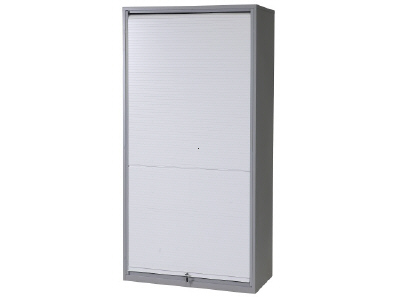 The roller door is fitted with handle and locked with a cylinder lock. Internal height measurement is reduced by 170 mm due to the roller box in the top of the cabinet, the internal measurement is then 1770 mm. Body in powder coated grey RAL 7037 and roller door in light grey. 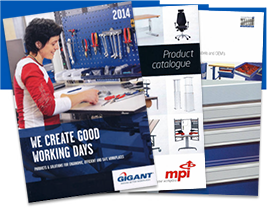 Max load per shelf 50 kg or max 500 kg per cabinet. Fitted cabinet to suit your needs. 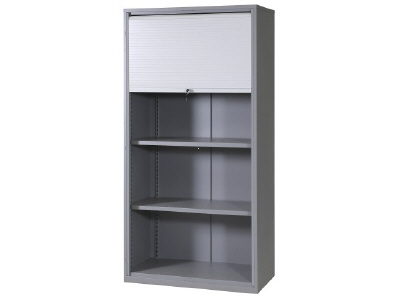 The cabinet is fitted with perforated uprights for fitting shelves, tool panels, drawers, etc for c-c 900 mm.